Our Channel earned a place in the Classic line-up with a narrow victory in the Investec Derby Trial at Epsom. Trained by William Haggas, who won with his only previous Derby runner Shaamit in 1996, the 14-1 shot triumphed after a front-running ride from Ryan Moore. Our Channel stayed near the far rail while the rest of the field fanned out across the track. The winner, a 50-1 chance for the Derby on 7 June, won by a head from Marzocco, with Stars Over The Sea third. 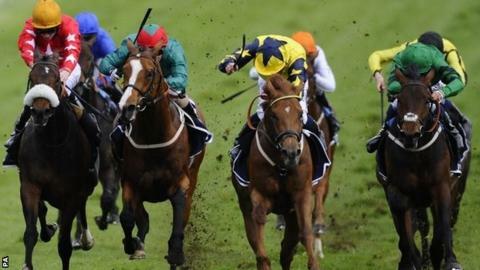 The trainer's wife, Maureen, said Our Channel's owner, Abdulla Al Mansoori, would like to go for the Derby but added that she was not sure the horse would stay the distance of one-and-a-half miles.